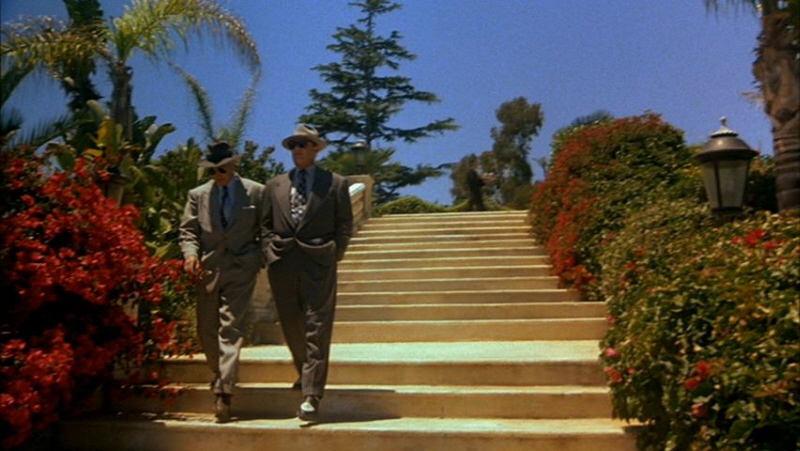 The people involved with Chinatown wanted to make a trilogy. The first is about stealing water. The second is about stealing oil. The second did poorly at the box office and didn’t catch most critics’ fancy, so there is no Part III. 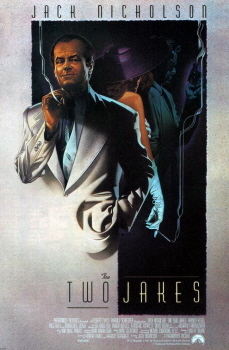 The Two Jakes (aka Chinatown II) itself had such a rough time getting to the big screen that no less than Jack Nicholson had to step into the director’s shoes in order for the project to be completed. It’s just as well that there probably won’t be a Part III. The Two Jakes is ostensibly about how Los Angeles has changed since the events of Chinatown about ten years ago, but the sequel simply chases its predecessor’s tail. I don’t mean this in a bad way, but Jakes is basically a continuation of the first movie. There really isn’t any follow-up to be had given how Jakes ends. Nicholson got the costumes, sets, lighting, music, and mood quite right. 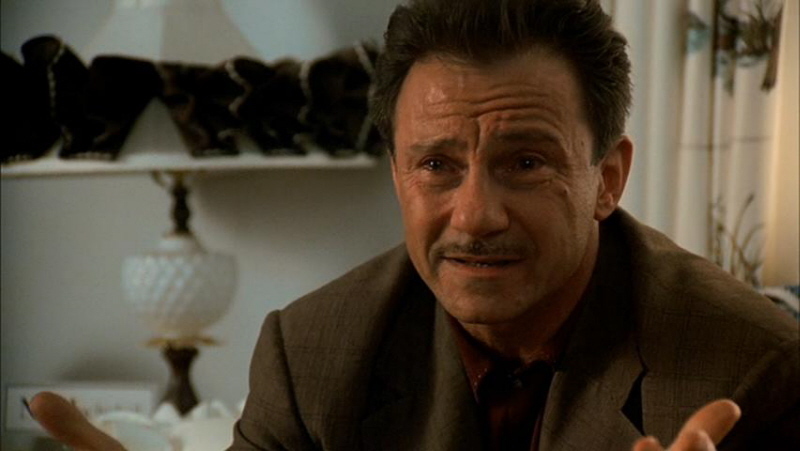 The performances are stellar and involving. However, the final product is rather long, so you’ll have to prepare yourself for a languid viewing. Big thanks to David McCoy for the Review! 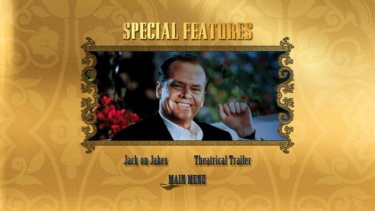 The Special Collector's Edition is also available in The Jack Nicholson Collection (Chinatown - reviewed HERE / The Two Jakes) on November 6th, 2007. 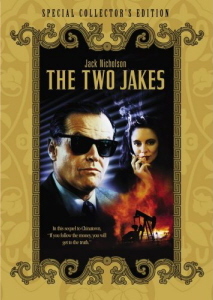 By now, The Two Jakes is a largely forgotten endeavor. 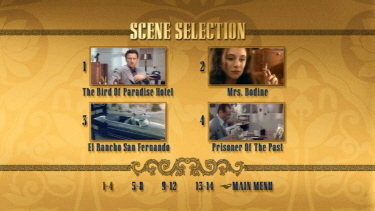 However, Paramount has created a sterling video transfer for this DVD release. In fact, it’s one of the best-looking catalog titles so far this year (2007). The opening studio logo is a tad dirty, but the rest of the running time is dominated by strong orange hues and a high level of detail for a standard-definition image. You’ll see some video noise in a few shots, but for the most part, this is a clean transfer. For the primary English track, you get the original DD 2.0 surround mix and a sweetened DD 5.1 interpretation. 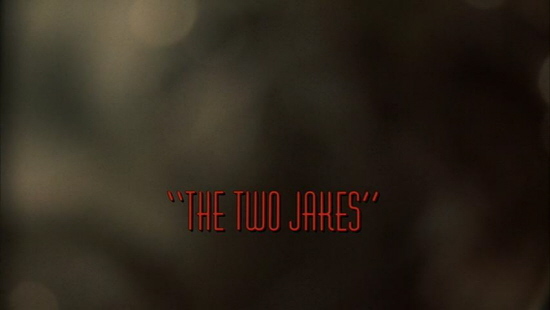 The Two Jakes is a dialogue-driven movie, so most of the aural activity is located in the center channel. Occasionally, the front mains contribute some music cues, but the rears are mostly silent. However, there are a couple of earthquakes and gas explosions that pack quite a punch. You can also watch the movie with DD 2.0 surround French, DD 2.0 surround Spanish, and DD 2.0 mono Portuguese dubs. Optional English, French, Spanish, and Portuguese subtitles as well as optional English closed captions support the audio. 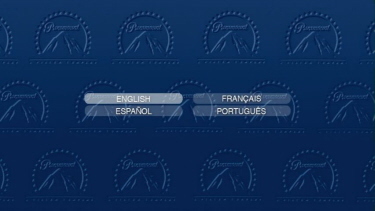 Coded for Regions 1 and 4 (North and South America), a language menu appears when the disc loads. 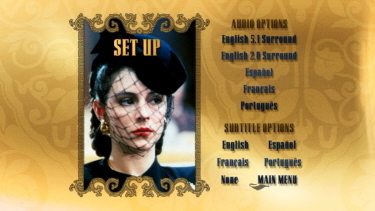 Selecting English, French, Spanish, or Portuguese determines the audio that accompanies the movie (though the Main Menu is in English). 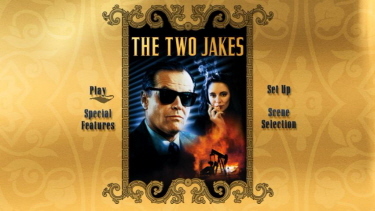 Thus, you can also watch The Two Jakes with DD 2.0 surround French, DD 2.0 surround Spanish, and DD 2.0 mono Portuguese dubs. Optional English, French, Spanish, and Portuguese subtitles as well as optional English closed captions support the audio. 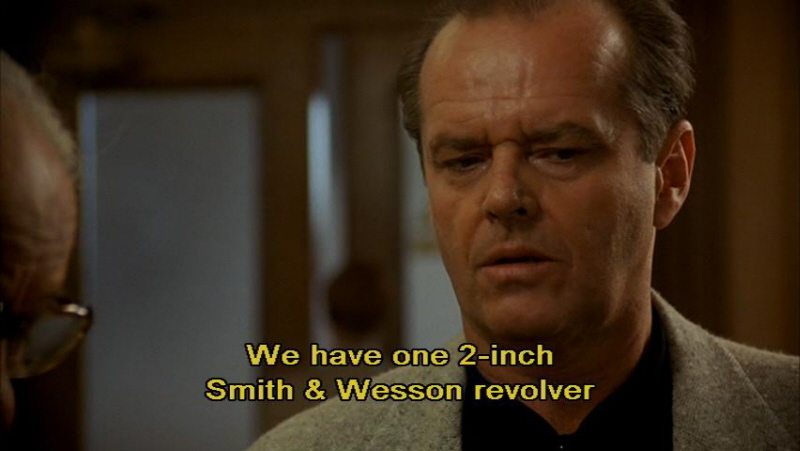 Jack Nicholson appears in “Jack on Jakes”, a lengthy video chat about the movie’s troubled history, difficult production, and mixed reception. This is a very illuminating and revelatory piece as Nicholson candidly reveals how much heartbreak and how much pride he experienced. You also get the film’s theatrical trailer.